Short term trades often need to be timed perfectly, and this means that you don’t have any time to waste. Efficiency is absolutely necessary, but you need time to research your positions effectively in order to make sure that you are not making a bad trade that will end up just losing you your hard earned money. Therefore, the faster you can do your research without losing any quality, the better off you will be. Luckily, there are a three main ways to do this and still make good money. The first two ways eliminate a lot of your work, but they also get rid of a lot of the intimate and fun parts of trading, too. This happens when you begin to automate things. One way involves partial automation by getting relevant research materials sent directly to you through a streaming news service. This is pretty easy–you just subscribe to a service and let them know which assets or industries you have the most interest in. If news happens, you will get it sent to your computer or handheld device automatically. This is a great tool to have, but it’s only a small part of the information you will need, contrary to what a lot of traders believe. Trading the news works, but it’s not the complete picture and will only have limited success. The other method involves full automation where everything is done for you. You won’t even execute your own trades. Again, this can be very useful and extremely profitable if you go with the right software, but many people don’t enjoy this because trade execution is often the most well loved part of the process. The other time saving alternative is to digitalize your research. A lot of traders already do this, but not as efficiently as they could. You probably search financial news websites to find the fundamental analysis information you need about the hottest stocks, but this just isn’t enough today. Researching trading strategies, such as a proper and effective hedging strategy when you need to protect a previously established position, isn’t something that any software can do for you. Instead, you need to know the facts about how your asset and trading marketplace of choice work, and what the best strategies for attaining your intended result will be. This takes research time, but buying trading books, especially advanced books, can take a lot of time to get to your house and can also be very expensive. It’s very common for trading books to cost $100 or more if you have to special order it online. Then you need to wait for it to be shipped to your residence, which can easily take two or three days. If you were to use the same text, except in ebook form, you wouldn’t have to pay as much, and you can download it to your computer within a minute or two. Trading is about making money, right? Then it only makes sense that you would want to max out your capacity for doing so. 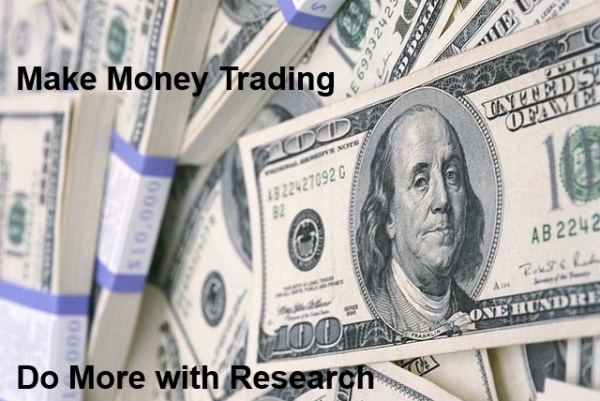 And if you can save a hundred dollars here and there on research materials, than you are increasing your total profits in the end. Also, increasing your efficiency in obtaining and using materials, you are saving money, too. It allows you to make a properly informed decision in less time, and when you need to be right down to the minute, this is a very valuable tool to have at your disposal. Ebooks do a lot toward increasing your efficiency, and this equals more cash in your pocket.